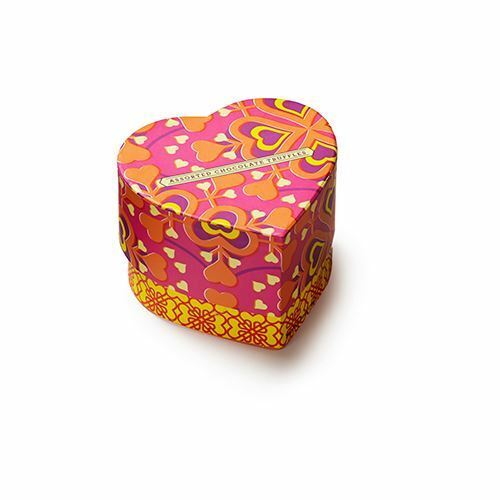 Tell someone how sweet they are with a heart-shaped box filled with assorted chocolate truffles. We all know the key to anyone’s heart is chocolate, especially if they’re decadent truffles from Seattle Chocolate. Orange and yellow hearts embellish the outside of the heart-shaped box, which fits perfectly in the palm of your hand, while the inside features ~18 pieces of chocolate truffles. 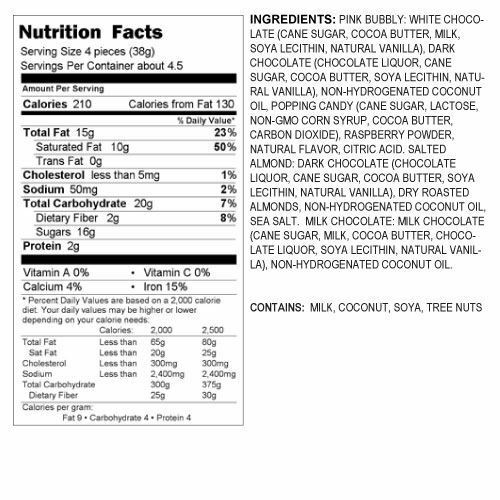 Flavors include Pink Bubbly (freeze-dried raspberries in white chocolate with popping candy enrobed in dark chocolate), Salted Almond (large chunks of dry roasted almonds with a hint of sea salt enrobed in rich dark chocolate), and Milk Chocolate. Each bite is a true delight!